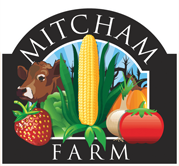 Don't miss the Pumpkin Festival at Mitcham Farm! 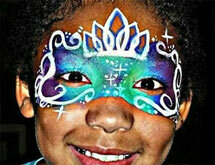 This event is fun for the whole family with something for everyone! This event features u-pick pumpkins, craft vendors, food and drink, live music, hayrides, and other fun fall activities. 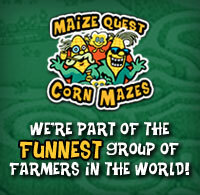 The farm is located just 30 miles east of downtown Atlanta, less than 5 miles from Interstate 20. See you soon! Pick your own pumpkin! 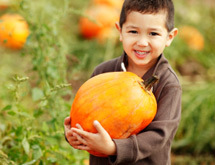 Take a hayride to our Pumpkin Patch and pick the pumpkin that is just right for you. Take part of the fall season home with you. Pre-picked pumpkins and other fall decorations also available for purchase. Availability dependent on weather. Up up and away! 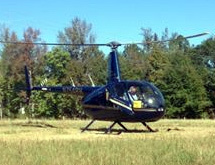 Take a sightseeing ride up above our beautiful countryside available on select dates only. Starting at $35/person or $100 for a group of 3. With seasoned professionals and musicians, CRB brings a great mix of classic country with the top 40 hits and a touch of southern rock classics. Fast becoming a very popular band in the Athens music scene, they are now poised to show the rest of Georgia and the south what the Country River Band can do. 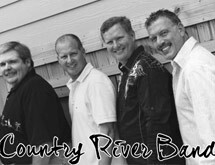 The Country River Band has open for many of country's biggest stars such as: George Jones, Connie Smith, Randy Travis & Doug Stone. 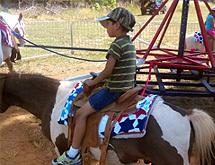 In addition to our own farm animals that you can visit, stop by Camp Carousel's traveling petting zoo featuring rescued chickens, goats, alpacas, pigs, ducks, a llama, and a camel. 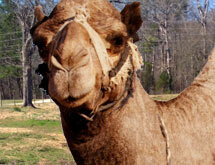 A $3 donation for the care of these rescue animals is requested for entry into the petting zoo. We are looking for craft vendors who would like to display and sell their items.